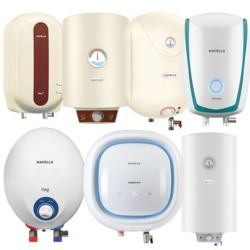 Our range of products include havells geysers. Geysers that understand you. At Havell’s we believe in creating technology that makes a difference and our products aim at making your life easier and more comfortable. This philosophy is what makes our products the best-in-class compared to the many others in the market. You should not be made to choose between convenience and performance. Therefore, our water heaters come equipped with temperature sensitive colour changing LED indicators and an ‘Incoloy 800’ glass coated heating element which ensures superior performance and convenience to you.